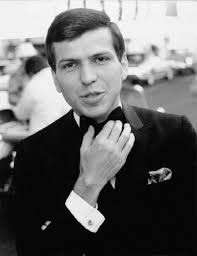 On December 12 singer Frank Sinatra Jr. will perform a 100th Birthday Celebration of his father Frank Sinatra's music at the Saban Theatre in Beverly Hills at 9 pm. In our talk he describes the concert in detail. He also talks about his mentors and what music he prefers to listen to nowadays. When and how did this celebration concert come about? When Frank Sinatra died back in 1998 I engineered a celebrational show which I intended to run for eighteen months to two years, to celebrate his life and his career. The show at that time was called Sinatra Sings Sinatra. As it turned out, the audiences and the people who hired our program wanted very much to keep Sinatra Sings Sinatra going long after two years had passed. By now we were getting close to going into the 21st century, and it has been so ever since. Now we come to December the 12th forthcoming here which will have been his 100th birthday. OK! Two years ago I discussed with my family and the people that we work with the importance of organizing a special series of events to commemorate his 100th year. I was wondering whether or not this was a little bit of overkill at the time, but I have been told such things happen for people like Duke Wayne, Bing Crosby and people of that situation that they have these big festivals, recapitulations, tributes, you name it. In 2013 I started writing a show for the end of 2015. That show debuted in May this year. Where did you debut it? It was debuted in of all places Costa Mesa, Ca. This time, I felt it was time to take just a little bit of a different tact. There are many, many Sinatra celebrational shows that are engaged right now. There's a lot of traffic out there. As the saying goes, everybody and his brother is doing a Sinatra show. It's a great tribute to a great artist. There's no question about that. But I wanted ours to be different. I wanted ours to cause people to pick our show rather than just some other artist, however talented, who is just putting together a program of the famous Sinatra music, which of course is a given. People are going to come and expect to hear the Sinatra hit songs. That's what the program is about. There's no question about it. Bearing in mind, we're expecting the audience will be made up of people who admired Sinatra and his music. We can assume, and we're taking this as an assumption that they know the music. They probably also remember things about his life. They know they've heard the legends, the stories that keep going and going and going and going and going...most of which are either exaggerations, embellishments or just plain falsities. But if we can assume that they know the music and they know the legends...for the past two years, I have endeavored to put a show together that will show people about - the man. That's the difference between this show and any of the other shows that are out there and any of the shows that I did prior to 2015. Our show right now delves into the personality, the behavior patterns, the things that have to do with the man. It was said many years ago when you concentrate on the legend, you lose the person. And I think it's time that we found that person. I think now that he would have been 100 years of age...I think if I can encapsulate what I'm trying to say to you...beginning in 2013 when I began to assemble this show, which we are now doing, it was time to humanize this iconic, lofty personage here, and stop looking at one of those people like you're going to see a bust of him, like they're in music schools and piano teacher studies, busts of Mozart and Chopin and Beethoven. That's nothing but a plaster statue. We're talking about a red-blooded human being here. This is where we're going with the show. The rest of it, legends and of course the music are all there. Is this presentation from your point of view? I recently saw actor Chris Lemmon do a tribute show to his dad Jack Lemmon, and much of it was from his point of view, his relationship with his dad. 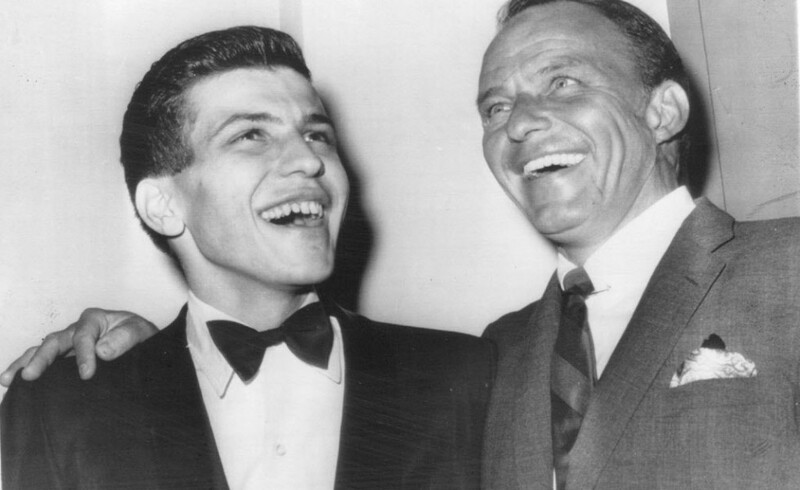 Is yours based on your father/son relationship with Frank Sinatra? As the point of view of a material witness who was right there when most of what goes on in the show happened. I don't really get in too deeply to relationships with Frank Sinatra and his relatives, but rather they are there, through the course of the show, beginning at the time of infancy all the way up to the end of his life. However, the concentration is not on the relationship of he and his children. Albeit that such comments are there. Things are there that refer to that. It's his life we're dealing with. For the first time since we've been doing Sinatra Sings Sinatra, the program has now gone audio-visual. Multi-media behind you is always a big plus. actual news print of publication that came up at different points in his life. Well, people ask me what is the videx like? We call it the videx of course, having spent weeks, months putting it together. The show is approximately 90 minutes plus or minus four. The videx at different points in the show on occasion is informative. On other occasions, a word I have never liked, is cute. On some occasions within the program the videx is actually very funny, as it was intended to be. And there are some portions of it which are very sad, very nostalgic, and late in the program, one portion is downright terrifying, because all of the attributes, all of the elements of life are present. If that should bring to the audience an aura of excitement, I will be delighted. Have you performed the show anywhere besides Costa Mesa? We played in Las Vegas during the summer. One of the writers up there printed a review - I didn't read it; someone told me about it - that said: this reporter and the audience left the theatre after Frank Sinatra Jr.'s centennial celebration, not having received what they had expected. What we got instead was totally unexpected. 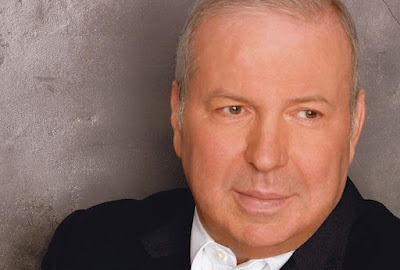 He also said that for the past thirty years Frank Sinatra Jr. has been the master of the unexpected. I thought that was a terrific compliment. Absolutely! That's the best notice you could receive. I can't wait to see this show. Can you define unexpected for us? Let us go to an art gallery and let us see a beautiful, beautiful sculpture of a pair of clasped gentleman's hands. The fingers are long and graceful, and as we get closer to those beautifully sculpted fingers, we suddenly come to recognize that there's a little bit of dirt under the fingernails. This is life. If we were to do all of the accolades, the superlatives and everything, that's press agentry. To my way of thinking, that is sickening. It's a false picture. On the other hand, if we were to do the scandal, the controversy and all the nonsense that followed Frank Sinatra through all the years of his life, that would be yellow journalism. That is also sickening. In reality, it seems to me the life of any person is combined of both attributes... and to tell the story honestly and truthfully, include more than one attitude in that person's life. That's what our show is about; it's more than the standard program of music. Where else have you performed the show? The first eight programs were in the US, four were in Britain and then more back here in the US. Reviews have been very good and I couldn't be happier. Let's talk about you. What influence did Duke Ellington have on your musical career? Mr. Ellington, whom I did not know very well, was very, very nice to me, always. And I admired the man a great deal. He was kind to me; he was gentle. If we're going to get down into the history of jazz, there are those people that refer to him as the father of jazz, which is not true. If he was not the father, he was the first person to get it really started in the public eye. Mr. Ellington had a collection of nuts in that band who were with him shoulder to shoulder...oh my God, decades. They had a style, they had a sound that was...unique, like no other. That's Duke Ellington. What other mentors do you care to mention? I had the great fortune of studying orchestration and counterpoint with Nelson Riddle, who was my teacher. I got to study conducting with the great Felix Slatkin who had been the house conductor for the Hollywood Bowl Symphony for so many years. One of the greatest violinists who ever lived! His wife Eleanor Slatkin was one of the primary cellists in Los Angeles, and their son Leonard Slatkin became the conductor of the National Symphony, the St. Louis Symphony. He is as much of a genius as both his mother and his father were. I was influenced by so many people. I had a situation one time back in 1977. I was working for a booking agency out of Chicago that involved two partners, one from Chicago and the other from the deep south somewhere in Alabama. They came to the conclusion that in order to make me more appealing for getting jobs and booking me, what they needed me to do was to make a new record album. Now there has never been at any time any demand for Frank Sinatra Jr. albums. At that time in the mid 70s the big music in the whole industry was country music. Everybody was making country music albums. They wanted to send me to Nashville to make a country album. And I had some degree of apprehension of such a thing, because very obviously, I was not a country singer. But they were insistent upon that, and they gave me a list of songs, some of which are pretty damn good by the way. They sent me off to Nashville, and when I arrived, I was really a fish out of water. Comedian George Gobel used to say, "Life was a tuxedo, and I was a pair of brown shoes". But I did have good fortune at one point. At Lake Tahoe I had been introduced to Mr. Eddy Arnold, who had been called the Frank Sinatra of country music. He was a very distinguished gentleman. He could not have been kinder to me when I met him. I was knocked out by his kindness. I had learned that Mr. Arnold made his home on a gentleman's estate just outside of Nashville. I was able to finagle a phone number, and when I called, to my surprise, he answered. I asked him if he could tutor me, if he could groom me a little bit. He said, "Well, son, why don't you come out to my place and we'll sit a spell and we'll talk it over." We sat in the sun drinking mint juleps and he began to train me about country music. Country music is nothing more than storytelling. He had been the ace of country music, and he became one of my mentors. To be great in any field, you have to tell the truth and not be afraid to go against the trend. You appeared frequently on television through the years. Do you have any favorite appearances? It seems that I read that you were offered a series at one point. Is that true? No, I was not, never. I wish I had been, but never was. I was a guest on probably a hundred variety shows, but never offered one of my own. There was a time when Johnny Carson had The Tonight Show on NBC and ABC against him had The Joey Bishop Show. Joey Bishop admired me when I was a guest on his program, and when he could not be there, he put me on as host in his absence. That was as close as I ever got to having my own show. I loved doing that show. I haven't written any music in a long time. I think I became somewhat demoralized because as it turns out, there was never any demand for such a thing, so I figured I was not going to waste my time. "Spice" was a big hit for you, wasn't it? Way back in 1971 I had the privilege of making my first record album with Nelson Riddle, a great orchestrator. He helped me embrace the idea - this was my first album in six years ... I was at the time working on the road with a jazz octet, four horns and four rhythm, and that was the sound in clubs that people heard me making in our appearances. Then I wanted to do some wonderful exciting orchestrations with the big orchestra, and at the same time, I wanted to do some pretty ballads with the string orchestra, with french horns. So we had one sound, eight pieces; we had another sound, thirty pieces; and then we had the full orchestra sound, forty-eight pieces. We had in fact created three different record albums. Each one of those approaches should have been an album unto itself. But we had only the one record. How could we justify three sounds under one cover? So I hit upon the idea that if we mixed up those sounds, one after another, not continuous, we would make that the theme of the album. The theme being that no two songs were alike. It would be the variety of the content that gave the album its life. "Variety is the spice of life." So I called the album Spice. I sat down and in twenty minutes, I wrote a song called "Spice", which got played for many years and so in 2006 on my album That Face, they wanted me to record "Spice" again. What do you think of musical styles today? Do you have any favorite singers from among the newer crop? The singers that make this kind of music I listen to. I very much admire Diana Krall, who is my favorite; Norah Jones, whom I like; Michael Buble sings very, very well. People like that, but in terms of music and style, there is neither music or style in general. What we have today is just like everything else in the world. What can be made, what can be cookie-cuttered, what can be manufactured in the cheapest possible way and which we can invest short and sell long? So they get electronic machines that make a pulse, a rhythmic repeating pulse, however irritating it becomes. And then they get somebody who reads less than high school camp verse under it, and they call this RAP music. I do not see that there's any musicality in it whatever. You're asking the wrong person to endorse what's going on today. Well, thank you for keeping the American Songbook alive. Yeah, but I have to tell you, whenever anybody says that, I have to tell you that is a misnomer. As long as we have songs from Bert Kaempfert in Germany, from Michel LeGrand in Paris, a Lesley Bricusse/Anthony Newley, Paul McCartney in England, and as long as we have Antonio Carlos Jobim from Brazil we cannot call it the racist title The American Songbook. It's The International Songbook. Yeah, that's how I refer to it. That's really nice. I like that. Frank Sinatra’s 100th Birthday Celebration featuring Frank Sinatra, Jr. The songs of Sinatra need to be sung like “Strangers In The Night,” “I’ve Got You Under My Skin,” “New York, New York,” and so many, many more especially on this day, his 100th birthday celebration. 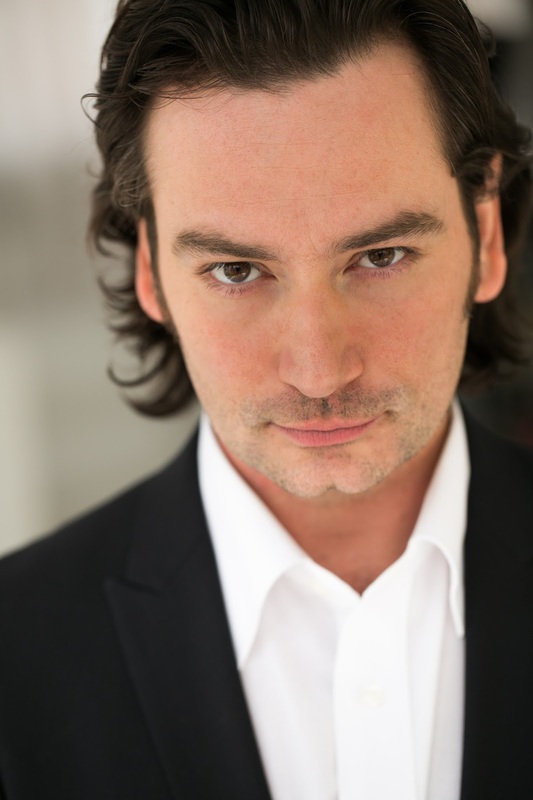 Actor/singer Constantine Maroulis has exited Breaking Through at the Pasadena Playhouse opening November 1, due to personal matters. He has been replaced by Matt Magnusson. Below is an interview I did with Maroulis a couple of weeks ago. Well technically I was born in Brooklyn and raised in New Jersey. I was quite young when we moved but my grandparents settled in Brooklyn in the early 1900's. My entire family grew up in BK and we have very strong ties to the borough. There is a large Greek American population and community there of course and I was raised in a traditional Greek Orthodox household. Growing up in the church was a huge influence on me artistically. I have very fond memories of riding the sidewalks of Bay Ridge on my Big Wheel and playing ball with all my cousins. I often wonder how I would have turned out if I stayed there rather than moving to NJ. Being the youngest of three (my brother Athanasios and my sister Anastasia are quite a bit older) I was the least affected by the move to the suburbs. They had more of the Brooklyn experience than I did but I was able to start school fresh and come up with my Wyckoff, NJ Kindergarten class. Most of them I am still very close with to this day. Upon moving to NJ It was not the Brooklyn it is today. The Brooklyn neighborhood was transitioning and my parents wanted more for our education. Wyckoff is a very affluent suburb about 25 miles from the heart Manhattan. My parents did not have much and both worked full time but they provided everything we needed and more. We drove old cars and didn't ski or vacation but this I believe built a great deal of character within us and perhaps was what lead me to the arts. I love Brooklyn and very much identify with my roots there but certainly grew up very Jersey. Bergen County is so different than what most people think of NJ. We had such close access to the city, the mountains and the beach as well as the best schools in the country. I was very fortunate to grow up in a community that was also very supportive of the arts and I always had amazing teachers who I am very thankful for. I actually left Manhattan after nearly twenty years myself and moved back to Wyckoff a year ago with my daughter. Where did you develop your love of music? What kind of music inspired you? Certainly my family upbringing and lifestyle were huge influences on me in every way. My mother always sang in the house and at church. My father not so much. He was more the strong silent type and he worked so much. We would enjoy films together as a family on Sunday nights and tons of Yankee games. Athan and Anastasia were very into the arts and I idolized them. They were well out of the house by the time I really got into the music but were huge influences on me. Handing me down Led Zeppelin records all the way to Echo and The Bunnymen, King Cole, Sam Cooke to U2 and The Cure. They did plays and musicals growing up as well and I followed them there. My brother is still a professional performing artist and you can google him. My sister is a school principal in NJ. "West Side Story" was my favorite film and also the first show I ever did when I reached high school. My life and career is somewhere between that film and "Jesus Christ Superstar", both hugely influential on me. Watching the Tonys was something I always looked forward to with my family and I knew that one day I would be there. My childhood was all about sports and music and still is. Tell me about being a voice-over artist. How did this come about? I have done a few but I would love to do more. We have to be versatile as performers and willing to apply our training and passions to many things to survive. From vo's to corporate gigs and everything in between. I have been very fortunate and have had the pleasure of doing a myriad of jobs from hosting to producing. ( currently "Spring Awakening" on Broadway). We can't always be starring on Broadway ya know. Talk about American Idol, how it served you both negatively and positively. To be honest I went into the experience wide open. Never having seen the earlier seasons because I was in drama school and on tour with RENT leading up to my experience there. From day one they had cameras on me and I rolled with it. It truly was an incredible journey for a young artist to take. 30-40 million plus watching you three nights a week is not something you can articulate but it was thrilling. I discovered early on I had to create a brand for myself and that I did. I got back to work shortly after and found my place on Broadway which is what I always wanted. The only negative I would say is that some in the industry may think you didn't earn your popularity or that people are stunt casting you in things. Last time I checked they don't give Tony Noms for that and yes that was a nice validation. What was most exciting about Rock of Ages? I knew early on that it was a special project. Meeting the creatives shortly after my Idol exit I could feel their energy and saw the potential. When it was set to open first off broadway I wanted in for sure. They assembled the perfect cast and allowed us the freedom to discover the show in the room together as a collaborative effort. Being a part of something totally original is every actors dream and I wish everyone could have that experience. Our iconic run was a testament to the original cast and the creatives amazing work. I think we broke the mold of what people thought Broadway was. ROA opened the door for shows like Mormon and Rotten for sure. 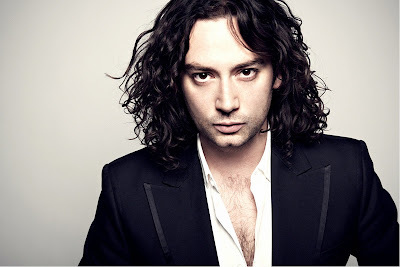 You did a concept album for Jekyll & Hyde. Why and how did you change the way the show was presented onstage? Oddly enough we started on that album long before rehearsals began and neither Deborah or I were very familiar with the material. We learned on the run and in the studio with Frank and Jason Howland. The songs evolved as our experiences with them grew and once we applied them into the story. JH was an awesome experience for me and what tenor actor would not want a crack at that? Frank and Leslie are incredible writers and I am so glad to call them friends. I hope to work with them and Jeff Calhoun again soon. Talk the new show Breaking Through. Does the role you play stretch you? How is it challenging or how does it suit you? I think it would be easy to play Scorpio as the typical a**hole rockstar but my challenge is to make him likeable and caring. The show is a metaphor for the whole state of the music industry. Behind these characters we see on TV and in online videos lie real people we want to know but never get to. Scorpio despite a lengthy career and huge success is very alone and scared. Even the top artists are always one flop away from being irrelevant and he is very aware of his mortality. Talk about your co-star Allson Luff and the director and composers of the show. Alison is so very lovely in every way. I'm excited for the world to see her in an original role that she builds from the ground up. Of course she has been in tons of shows and iconic ones like Wicked and Mamma Mia where she steps into roles many other women have done and she killed those, but this role could potentially define her. Katie and Cliff are an interesting pairing as our composers. Katie young, hip, distinctively NY and an artist that Alison's character is sort of based off of if you will. Cliff a pro who has been in the game a long time and produced/written with everybody. The songs are great and are very now. They represent the current trends in music and that is exciting for us actors. Sheldon our director has been wonderful in allowing us to find our own characters. He listens to everything we have to say and often implements our ideas into his vision. This may be the most contemporary piece he's worked on in sometime so that is very cool for all of us. Bringing Tyce and his team into the fold as choreographer has been huge for us. Tyce is the hottest there is in the business having just worked with Taylor Swift. That's about as current Music Industry as it gets. The show is starting to really come together. Is there some musical role you are yearning to play? The new works are really what speak to me these days, there are so many great new writers and styles out there. I love the classics as well and getting away from rock someday would be okay too.